UK: A Big Data & Machine Learning Approach to Diabetes? The press release explains that this will utilise health and non-health data in conjunction with advanced Machine Learning and analytics techniques to develop a system that can identify the progression of the disease. This will come from a local London population. The reason this Big Data and Machine Learning approach is interesting though, is it offers a top-line independent perspective on a difficult disease. Diabetes impacts the body’s ability to handle sugar. According to 2014 Diabetes Report [PDF] it costs the NHS £9.8bn in direct costs. This makes it (like smoking and obesity) a politically sensitive topic. Yet from a patient’s point of view it can be divided into two clear types – which are almost two separate diseases. There is Type 1 - where patients produce no insulin whatsoever and have to inject themselves every time they eat, or else they die. This generally develops in childhood (normally under 10) and stays with individuals for life. Poor management of the condition can lead to range of other ailments such as blindness. Type 2 diabetes on the other hand, is the one we hear about all the time. This develops in older adults and is often caused by too much sugar in the diet. This is controlled by tablets and diet (not injections). It also carries long term health implications, like blindness, but in a lot of cases can almost be viewed as a lifestyle continuum and impacts a range of different people differently. What data specifically will be included? Dataset research is included as part of the project. However, we envisage that for health data we will required diagnoses, procedures, interventions and medication taken over time. For non-health data we will be looking at geo-demographic data, lifestyle data and data that correlates to behaviours on a day-to-day basis. How long do you think it will take to generate meaningful results? There are a number of dependencies involved in this project, ensuring we are compliant with information governance is the biggest challenge. Once this has been achieved, we envisage primary results within 12 months, however we are following an agile iterative approach to Machine Learning, as more data becomes available and through better understanding of the results we will work towards improving the model’s accuracy. What are the aims, short, medium and long term? Short term we are aiming to find clusters of features which together will enable us to be more precise in our decisions around interventions/treatments. Longer term, these clusters will become smaller and enable more precise individualised decisions in care. In both the short and long term, the aim is to provide insights and information to clinicians and patients that will ultimately reduce the number of complications related to diabetes. Do you see this of greater value to the curtailing of Type 2 diabetes than the managing of Type 1 diabetes? It would have an impact on all types of diabetes. A disease label of diabetes Type 1 or Type 2 only takes into consideration a small number of health variables. 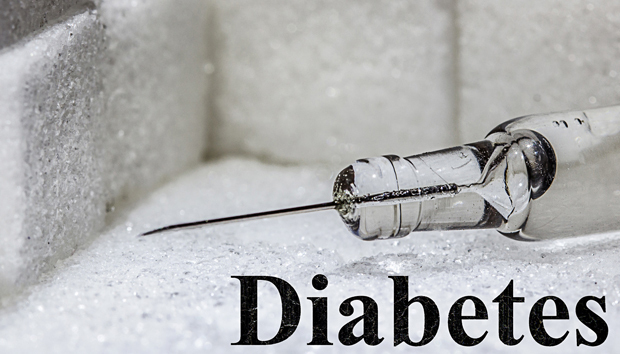 Research clearly shows though that Type 2 diabetes for example, is not one homogenous disease and is in fact made up of quite distinct clusters of people who have the same label, but who are likely to react in very different ways to interventions and treatments. Machine Learning analysis on Big Data will enable us to 'hyper-segment' the population of people with diabetes leading to more personalised care. It may be that the label of Type 1 of Type 2 does not impact the health outcomes, our research may find other features which impact on that group’s disease progression to health outcomes and complications. Are any initiatives like this being run elsewhere in the world? Health data analytics is a rapidly growing industry. VC funding for health technology firms has increased 176% this year [according to a survey by Rock Health] - the majority of funding allocated to data analytics companies. However, most of the data analytics for healthcare is being applied to reduce costs, reduce hospital re-admissions, activity (i.e., volumes of people, interventions and procedures) or to reduce errors, and is generally only looking at health related data. We understand this is the first time advanced Machine Learning is being applied to data on peoples lifestyles, behaviour and health to predict their health outcomes. In this case the end results of care such as complications related to diabetes.